Does Political Experience Matter for 2020 Democrats? In assessing the very large Democratic field assembling to challenge Trump in 2020, it’s hard to avoid the conclusion that a lot of politicians with résumés that would not normally bespeak presidential timber have taken a look at the 45th president’s rise to the White House and concluded there are no longer any minimum requirements. Yes, there have been presidents with no prior experience in elected office, but before Trump they were all war heroes (Taylor, Grant, and Eisenhower) or Cabinet members (Taft and Hoover). A few major-party nominees were closer to Trump in the empty résumé department (notably 1904 Democratic nominee Alton Parker, a state judge, and 1940 Republican nominee Wendell Willkie, a utility executive), but for the most part, especially in more recent times, the major parties have nominated former or current senators and governors. A recent Morning Consult poll suggests that rank-and-file Democratic voters still value that kind of high-level experience, with 66 percent saying that “decades of political experience” was “very important” or “somewhat important” to them in choosing a 2020 nominee. That could help explain why two candidates (one potential and one actual) who together have 81 years of experience in elected office, Joe Biden and Bernie Sanders, top every poll. And there’s more where that came from: An astonishing seven former or current U.S. senators are in the race. But as Nathaniel Rakich of FiveThirtyEight observes, voters tend to adapt their view of desirable candidate qualities to how they see their preferred candidates, more than the other way around. Thus Republicans told Pew pollsters early in the 2016 cycle that they valued experience over “new ideas” until Trump emerged as a favorite and flipped that particular script. So it’s worth noting that two 2020 Democratic candidates that have created some initial “buzz,” Beto O’Rourke and Pete Buttigieg, have qualifications typically considered insufficient for presidential candidates (the former has six years as a city councilman and six years as a backbencher in the U.S. House, the latter eight years as mayor of a relatively small city). The near–draft-level interest in former Georgia state legislator Stacey Abrams is unusual, too. It’s possible that while Trump hasn’t totally dispelled an interest in experience among voters in either party, Democrats are less worried than they might normally be about sending up a relative novice to oppose him; it’s not like Trump is going to depict himself as the wise, credentialed, steady hand on the tiller. 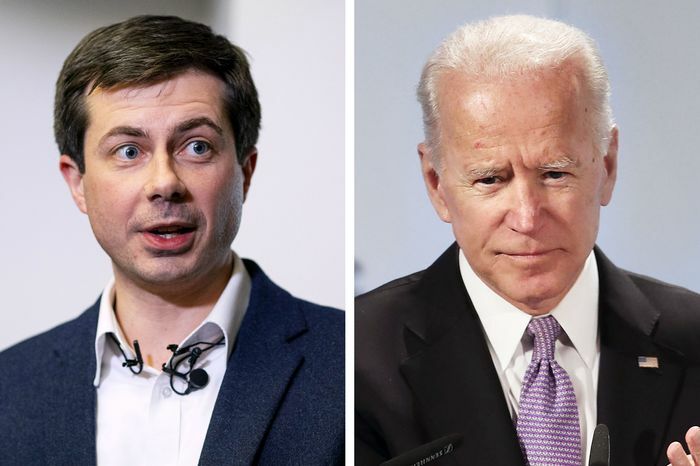 It’s notable that candidates at both ends of the experience spectrum — Biden and Sanders, and O’Rourke and Buttigieg — are thought to be potentially strong among the white working-class voters so important to Trump’s 2016 election and 2020 reelection prospects. Perhaps all that’s going on is that against the terrifying Trump Democrats are valuing perceived electability above all. It’s also possible that candidates like O’Rourke and Buttigieg are best compared to recent flash-in-the-pan presidential candidates on the Republican side like Michele Bachmann and Herman Cain (in 2012) or Ben Carson and Carly Fiorina (in 2016), who got an audition but were eventually cast aside. But one thing’s for sure: Democrats won’t forget about Trump and what happened in 2016 for a moment in selecting their next nominee.